That Henry VIII-like statement was too much for Congress to bear in the Carter years, so it enacted the Foreign Intelligence Surveillance Act (FISA), which prohibited domestic spying unless the feds first obtained search warrants for surveillance from a federal judge sitting on a newly created FISA court. 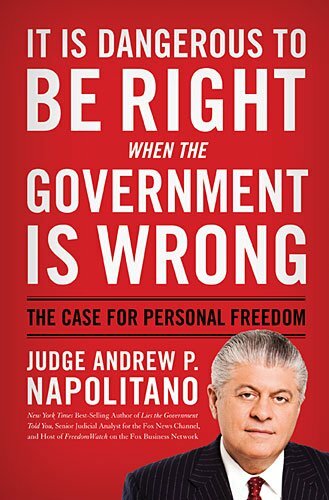 The FISA court, populated by sitting federal judges assigned there by the chief Theodore and Woodrow: ... Andrew P. Napolitano Best Price: $1.99 Buy New $6.10 (as of 07:20 EDT - Details) justice, was charged with issuing secret general warrants based upon secret evidence or no evidence and all in violation of the Constitution, which requires the presentation of evidence that constitutes probable cause of crime as the sole linchpin for the issuance of a search warrant. When Edward Snowden, the former contractor to the National Security Administration (NSA), revealed that since at least 2004 the FISA court has been issuing general warrants to NSA agents and to telecoms and Internet service providers directing that the NSA capture in bulk the content of telephone calls and emails and texts sent into, out of or within the United States, we learned a bit more about the operation of the FISA court. What we learned makes it self-evident that the FISA Court itself is unconstitutional. The Constitution establishes a limited federal government, which includes a limited federal judiciary. Because the Framers feared that federal judges might act as super-legislatures and go about declaring unconstitutional whatever legislation or presidential actions displeased them, they wrote into Article III of the Constitution the absolute prerequisite of the existence of a case or controversy before the jurisdiction of any federal court could be invoked. The case or controversy requirement demands that there be real adversity between two or more distinct entities each of which has a stake in the outcome of a dispute before a federal court can exercise any jurisdiction. Federal courts can only resolve disputes; they cannot rule with finality in the abstract or when approached by only one party. They can grant preliminary temporary relief to one party — in order to freeze the status quo and in anticipation of an adversarial contest on the merits — but they cannot rule when only one party is noticed and shows up. This is precisely how the FISA court functions, and yet we have no merit-based ruling by the Supreme Court on its constitutionality. We do, however, have a solid indication as to how the court would rule. The seminal case in Supreme Court history is Marbury v. Madison (1803). In that case, Congress had attempted to give original jurisdiction to the Supreme Court to hear a dispute that the Constitution said could only be heard by that court in an appellate setting. In denying Marbury’s meritorious claim, the court held definitively that Congress cannot alter the Constitution’s requirements that serve as a precondition for invoking the jurisdiction of a federal court. But this is just what Congress did with FISA. In the FISA court, only the government appears, seeking a generalized search warrant without regard to the facts of any specific case. 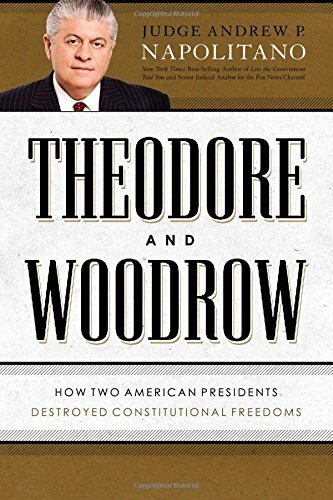 There is no case or controversy in the constitutional sense as there is no adversariness: No plaintiff is suing a defendant, and no defendant is being prosecuted by the government. Absent adversariness, the federal courts have no jurisdiction to do anything. 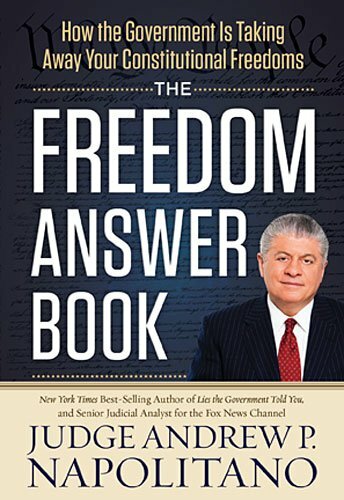 This flawed system is complicated even further by the fact that should the FISA court deny an application for a general warrant It Is Dangerous to Be ... Andrew P. Napolitano Best Price: $3.30 Buy New $8.00 (as of 04:10 EDT - Details) because it believes the government’s procedures to be illegal or unconstitutional, those court orders are non-binding and the government has ignored them. Unenforceable rulings that may be disregarded by another branch of the government are not judicial decisions at all, but impermissible advisory opinions prohibited by the Framers. When a FISA court judge rules that the NSA has the constitutional power to spy on Americans about whom it has no evidence of wrongdoing, as one judge did two weeks ago, because that ruling did not emanate out of a case or controversy — no one was in court to dispute it — the court is without authority to hear the matter, and thus the ruling is meaningless. By altering the constitutionally mandated requirement of the existence of a case or controversy before the jurisdiction of the federal courts may be invoked, Congress has lessened the protection of the right to be left alone that the Framers intentionally sought to enshrine. But don’t expect the government to wake up to this threat to our freedom. Its consistent behavior has demonstrated that it doesn’t care whether it violates the Constitution. Instead, expect the president’s secret agents and the politicians who support them to hide their wrongdoing behind more layers of secrecy. How Should a Suit Fit You?